There are two things that all women want – Good skin and Precious Ornaments ( Gold ) ! Let’s look at how we can combine our dreams of good skin and gold. A gold facial includes the application of a mask made with 24k gold. Oily skin can be quite a nightmare for many women. This particular skin type can lead to flare ups, acne and excess dirt accumulation on the skin. It makes the skin look dull and lifeless. To get a glowing, radiant skin, you must find ways to get rid of the excessive oil first. One of the best ways to get rid of oily skin and get beautiful radiant skin is to opt for a gold facial. Initially, Gold Facials were done only in expensive salons and beauty clinics as it is a unique treatment. Now they are readily available and you can achieve the same results at home. The main contents of this facial are the gold gel and gold cream. These two ingredients contain 24 carat gold, sandalwood, Aloe Vera, and Wheat germ oil. Gold Facials are available separately for both oily and dry skin types. You can either visit beauty salons and clinics to get an expert Gold Facial done or you can follow simple steps and get an equally decent Gold Facial for oily skin at home. VLCC is a well-known and trusted brand. 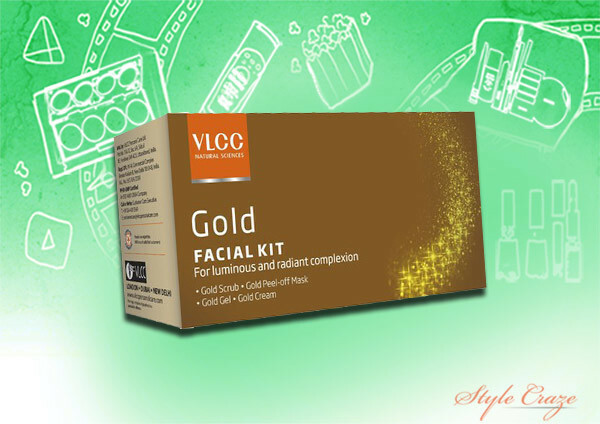 The VLCC gold facial kit revitalizes and nourishes the skin. The kit contains Gold Scrub, Gold Peel off Mask, Gold Gel and Gold cream. The gold scrub contains 24 carat gold with turmeric that gently exfoliates the skin and gives it a radiant look. The peel off mask has a mixture of 24 carat gold and lemon extract which has a powerful peeling extract that removes the dead cells and allows fresh new cells to reach the surface. 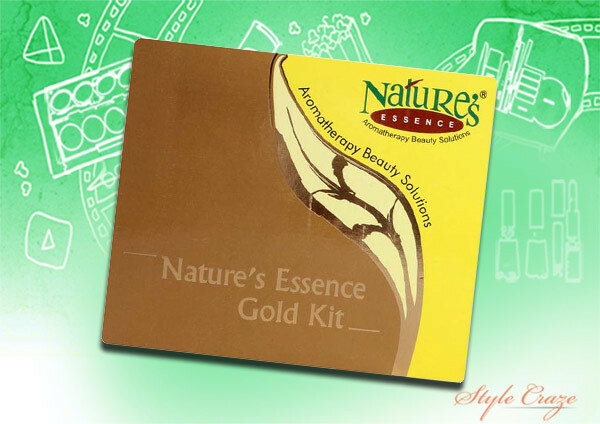 The gold gel contains 24 carat gold and gallnut extracts that accelerate cell renewal. The gold cream contains Wheat Germ oil and Rose petal extract which restores the physiological balance of the skin and gives the skin a shiny luster. It contains 24 Carat Gold Scrub, Marigold Cleansing cream, Gold Massage Gel, Face Pack, and Moisturizer. The Marigold cleanser cleans and hydrates while reducing the melanin in the skin. The gold massage gel contains 24 carat gold which helps improve blood circulation and makes the skin soft and smooth. The moisturizer helps to restore the moisture balance. The gold face pack is enriched with gold leaves which improves the elasticity of the skin and gives it a matte look. 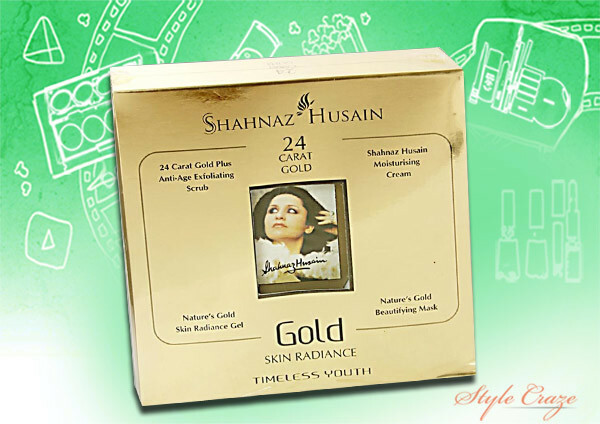 Shahnaz Husain is the uncrowned empress of the herbal cosmetic industry. This kit from the Shahnaz Empire contains Moisturizing Cream, Gold Skin Radiance Gel, Gold Scrub, and Gold Mask. The moisturizing cream and radiance gel is a dual complex formula containing 24 Carat Gold. This formula helps to revitalize, rejuvenate and slow down the ageing of the skin,. The gold face mask contains pure 24 carat gold,which gives the skin a radiant glow. The gold scrub acts as an anti-ageing formula, which exfoliates the skin and removes the dead cells. It contains orange peel extract, aloe vera juice, and rose extracts which delays ageing and gives a radiant youthful glowing skin. This kit contains the Gold Deep Cleanser Cream, Gold Scrub, Gold Face Pack, Gold Gel, and Gold Moisturizer. This gold facial kit helps clean the pores, removes tan and imparts a glow to the skin. It heals the skin leading to more radiant skin. It gives you smooth and perfect skin. .The cleanser has special properties of peppermint oil and gold dust which exfoliates the skin and makes it soft. The gold dust based scrub removes the dead layers of the skin and helps the growth of new cells. The gold cream has nourishing oils that pampers the skin and gives you soft younger looking skin. The gold gel contains gold dust, moisturizer, and mineral water. It is suitable for both oily and dry skin. The gold pack hydrates the skin, improves its texture, and encourages cell renewal. First, you should cleanse the skin properly. The cleanser should be made with marigold extract. The next step is to massage the skin with a cream mixed with honey and gold dust. This helps in removing the dead cells. After that, use the cream mixed with gold foil, sandalwood, and saffron. Massage the face with this cream for 10 minutes. Next, use the face pack that contains gold foil, turmeric and aloe vera and keep it on for 10 minutes or till it dries completely. The gold foil will melt and the skin can absorb all of the gold’s goodness. Wash off the gold pack, and apply a cold compression followed by a lavender lotion. Lastly apply a face pack mixed with gold foil and honey. Keep it on for 10 minutes and wash off. Now, not only will gold ornaments draw attention, but so will your face glowing face. And you can now get that ‘gold’ look at home, as an added bonus.